I Found Asbestos, What Should I do? I think I found asbestos, what should I do? You found asbestos? If your house was built or renovated before the 1990’s it is highly likely that it contains asbestos in some form. Since December 2003, all products containing asbestos have been banned in Australia. Don’t be alarmed. Current research suggests that fully functioning asbestos, such as asbestos cement sheeted walls are safe as long as they remain intact. Asbestos fibres and dust produced from broken asbestos is where issues start to arise. If the asbestos you have found is damaged, it is important that you avoid touching it and immediately seek the help of a professional. It can be difficult to identify asbestos just by looking at it. A sample needs to be tested in order to get an accurate result. It is not recommended that you remove asbestos yourself. 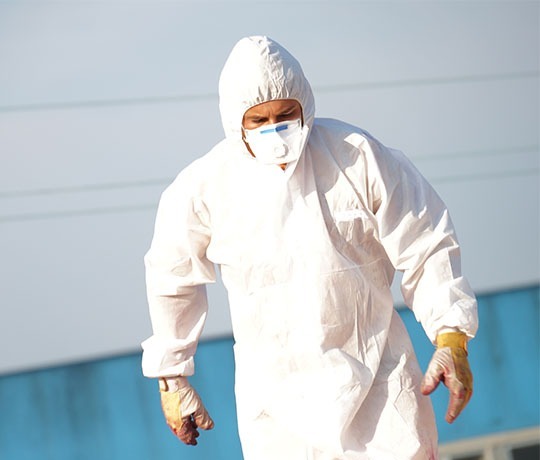 You should consult a professional asbestos removal team to test and remove the asbestos. This is very important because asbestos professionals are trained to dispose of the asbestos in a safe manner, that comply with Australian laws and guidelines. Some precautions to take while you wait for an asbestos removal specialist include, using a wet cloth to wipe up any asbestos dust or residue. This is far more effective than vacuuming or sweeping, as the minute particles are often not caught by this. Restrict the effected area, covering it with a plastic tarp if possible, and keep children and pets away from the area. With the large variation is house designs and compositions, asbestos removal cases are all different. It is essential that all removals are conducted in a safe manner. Exposure to asbestos can cause serious long term health problems such as Asbestosis (a disease affecting the lungs), and therefore removal should be conducted by a trained professional with all the necessary equipment and safety gear to get the job done without hazard.